Last week John Lewis announced that it had breached national minimum wage (NMW) regulations – potentially costing the company £36m. 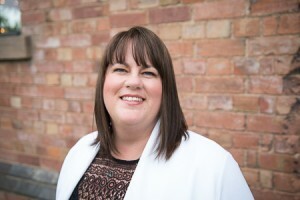 Julie Braithwaite, payroll specialist at Nottingham chartered accountants Clayton & Brewill, provides a useful reminder of NMW rates to ensure you don’t fall foul. John Lewis breached the strict NMW timing regulations due to its use of pay averaging, which spreads worker pay evenly over the course of the year to provide its partners (John Lewis refers to its employees as partners) with a steady monthly income. John Lewis isn’t the only large business to fall foul of the NMW regulations. Firms such as Debenhams and Tesco have also previously been caught out as a result of payroll errors. These high-profile stories emphasise the importance of ensuring that your business is fully compliant with NMW regulations and show the potential outcome if you fail to comply. are aged over 19 and in the first year of their apprenticeship. It’s also important to note that whilst the NMW rates are based on hourly pay, if you pay your employees an annual salary, by piece or in other ways, it’s important to ensure that you are still paying NMW rates. The GOV.UK national minimum wage calculator can help you work out what you should be paying your employees.